Another year, another Valentines day. Valentine’s day brings out our desire to look and feel our best. Whether you have a date with someone or just yourself it is chance to commit to some serious skin care and pamper ourselves. At Youth Lab we love any excuse to pamper ourselves and promote self love and care. So why not use this ‘hallmark holiday’ to showcase some of our most luxurious products. So without further ado here are some of our favourite products to help bring out your glow and give you an instant lift before valentines. Whether it’s a pamper night in with your special someone, or even just to treat yourself to some TLC. 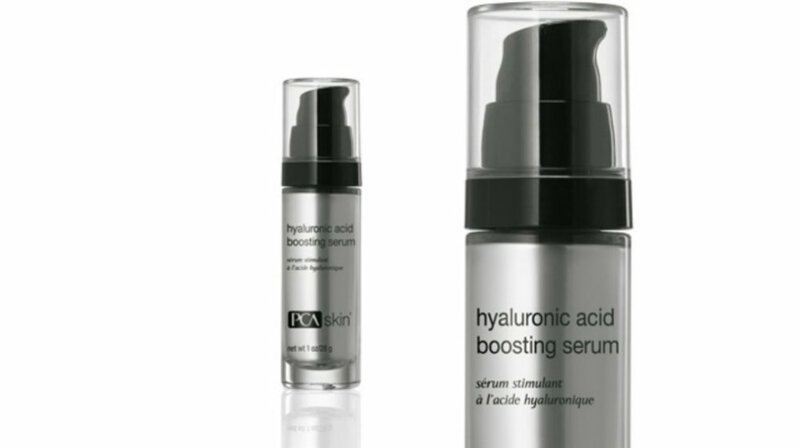 The PCA Hyaluronic Acid Booster serum is one of our most highly sought after products for a reason. We are often sold out of this super serum and we will explain why. This intensely hydrating serum increases the skin’s hyaluronic acid content by 200%, with each molecule of hyaluronic acid holding 1000x it’s weight in water. This results in fine lines being plumped and aids in collagen and elastin activity. Just think of how plump and soft your skin would feel. This advanced hyaluronic acid formulation works in three ways. It gives instant hydration to the surface of the skin (smoothing any imperfections) as well as a deeper hydration which targets fine lines and wrinkles. Not only does it give that instant boost but its proprietary blend HA-Pro Complex actually helps the skin produce more of its own hyaluronic acid. The result? Long term anti-ageing and hydration. This is one of our most versatile products. It is best to apply on clean skin morning and night. Doing a light exfoliation (see Glow Mask) prior will help active absorb even deeper into the skin matrix. It is the perfect primer for makeup and will give an airbrushed finish. We love applying this product on lips underneath balms/lip sticks for longer wear and super kissable pouts. One of our all time favourite cleansers is the Ultra MD Ultimate Brightening Foaming cleanser. A mix between a milk and a gel, this foaming cleanser provides a rich silky lather and has been formulated to gently remove make-up and daily residue, leaving the skin looking brighter, refreshed and radiant. A good cleanser is arguably the most important step in any skin care routine. Responsible of course for removing all the oil, dirt and congestion that accumulates on our skin, cleansers also need to be able to provide the skin with nourishing ingredients that replenish hydration levels as they cleanse. Using cleanser that are too harsh or irritating is what can leave skin feeling tight and dry when you get out of the shower. By repairing the skin barrier function as we clean, this allows for optimal functioning of the skin and is a treatment in itself. Utilising natural pigment suppressors as well as a potent complex of Vitamin B3, ProVitamin B5 and brightening ingredients, this formula works to perfectly balance moisture levels and prepare the skin for active cosmeceuticals. This cleanser is ideal for all skin types, and free from nasties such as parabens and fragrances. Don't let anything dull your glow. The Cosmedix Glow brightening mask helps to remove dead surface skin cells to provide optimal absorption of brightening ingredients and reduce the appearance of discoloration, uneven skin tone and roughness for smoother, brighter luminous skin. This is the perfect at home pamper night to prep your skin for a special night or just to treat yourself after a long day. 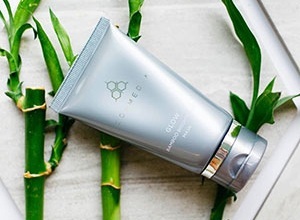 Utilising shea butter, citric essential oils, ascorbic acid, and exfoliating bamboo stem extract, this deeply nourishing at home therapeutic mask is not only brightening to the skin, but it is an aromatic journey leaving you feeling like you’ve just had your own personal treatment in a tropical day spa. Best to use at night, Glow can be used up to 3 times per week or as tolerated. Apply a generous amount to clean, damp skin. Leave on for 10 to 15 minutes and then gently rinse off with warm water. THis mask is perfect for a romantic couple’s night in, or a solo pampering session paired with strawberries and champagne! This therapeutic full body moisturiser hydrates the skin, and encourages an even complexion and smooth skin texture. It is the perfect product to help give you smooth and supple skin, all year round. Utilising the exfoliating and hydrating power of lactic acid, this is a one of it’s kind body treatment that is ideal for prepping the skin for a night on the town, as well as treating dryness, dehydration and the ever stubborn keratosis pillaris (such as the little bumps that can come up on the backs of our arms). 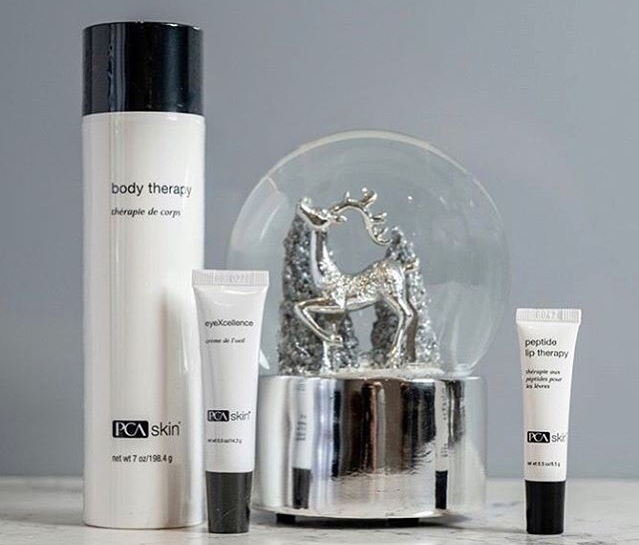 Our favourite part about body therapy with that it can exfoliate and smooth the skin texture but also hydrate and moisturise intensely at the same time. It has advanced ingredients that retain and hold the moisture in the skin without that greasy feel that many body moisturisers have. It feels like velvet when it is applied and stays that way. Apply after showering on clean skin. This 10% lactic acid formula makes it activeness known with a slight tingle on application. We love the tingle feeling. This moisturiser is best used at night to avoid sun sensitivity after showering. 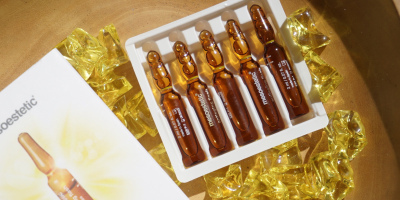 Anti-ageing flash ampoules by Mesoesthetic are an intensive anti-ageing treatment for all skin types that acts globally against the signs of skin ageing. These power house infusions effectively remove the signs of fatigue, provides immediate hydration and brightness, smoothing fine lines and expression lines, and provide an immediate lifting and tightening effect. Just what you need before a night out! Its concentrated formula includes a combination of outstanding anti-ageing ingredients that act synergistically to reduce wrinkles and expression lines and increase the skin’s elasticity and firmness. Its light texture is rapidly absorbed, leaving the skin feeling soft and comfortable. It is presented in individual ampoules that contain the optimum amount of ingredients for each application. It is packed in in a sterile atmosphere, offers maximum security and ensures that the properties of the formula are perfectly preserved over time so that your skin absorbs every last bit of goodness it has to offer. These ampoules are fantastic to use in conjunction with your skin care regime, or as a quick pick me up before a special night out.